I dug really hard to find a picture from when we were filming scenes for our spy video, mentioned below. I have a feeling Anna was the star of the scene for this particular day, seeing that she's wearing both a black t-shirt AND sunglasses. Extremely spy-ish. 1. Wear an outrageously fancy outfit to the mall, restaurant, or grocery store. Make people whisper behind their hands and wonder who you are and why you are wearing what you're wearing. One of the achievements that I'm most proud of in my whole life is that I convinced Angel to dress up with me in our wedding clothes on our 1st anniversary and we went out to eat at Logan's and pretended that we'd just gotten married. People believed us. It was awesome. 3. Start a grand creative project of one kind or another. Once upon a time, I organized my whole family into making a "Spy Movie" that involved all of us kids wandering all over our city wearing black clothes and sunglasses and speaking in code. It didn't cost anything (besides, perhaps, gas for my Dad's car). There wasn't even entirely a plot, but I had a blast making it. The finished project was hilarious. Someday our kids will watch it and be proud of us. Maybe your project is something you could sew, maybe it's a book you write or a scrapbook you finish. Hey, maybe it's getting together with your family and saying--let's clean the entire house today and take boxes of stuff to Goodwill! Completing something is a worthwhile adventure. I could have spent Summer 2009 doing boring stuff, but instead I embarked on my escapade in movie-making, and I know we're going to be laughing at our "Spy Movie" for decades to come! 4.Eavesdrop. Okay, okay, maybe I'm not supposed to suggest that. Everyone, eavesdropping is rude. But seriously, if you just keep your ears alert while you're strolling the mall or picking up needed items in the grocery store, you might happen to catch the most random snippets of conversation--snippets that will fuel your imagination. It's quite an adventure to make up a reasonable (or not-so-reasonable) context for a random sentence you just happen to overhear. What's your best way to turn an average day into an adventure? I'm always up for more ideas! Grand creative projects are the best! I used to choreograph dances for my siblings to perform for our family - costumes and all. I highly approve of all your movie/TV suggestions. Ha ha! Loved these ideas. When I still had my scrapbooking business we had to attend trade shows twice a year in the States to sell my newest lines to the wholesalers. One year I had a wedding line coming out. So I decided a great marketing scheme was for myself and my husband to dress up in wedding dress and tux and do the show like that. Since we actually eloped when we were married I didn't have a "real" wedding dress so I had to go out and buy one. I got one used that I absolutely loved and quite enjoyed wearing a big fancy fairy gown the whole show. Everyone at our hotel congratulated us and people stopped their cars etc. We walked a block to the trade show so we saw lots of people out every day plus of course the people at the trade show. By the 4th day of the trade show people had caught onto our scheme. Some asked how many times we planned on getting married. It was a blast though. And we did like you the first couple of days, just pretended we had just gotten married. We add adventure to our day by doing nature walks or playing in blanket forts. Often our floors are made of lava! ;) I'm here from the comment promise hop by the way. Those are great ideas! I also love the Grand Creative Project. I think you can treat each day as an adventure by being open to new connections, new friendships and new ideas. Exploring your neighbourhood as if you were a tourist can also be adventurous! These are fantastic ideas! I especially love the first one. People should have more fun with life! That spy movie sounds awesome! I think you should share it with your readers sometime ;) And going along with the last one, I love people watching and making up back stories for everyone who walks by! This is such a neat post! I love your spontaneity and creativity! Going out to dinner in your wedding attire? Freaking awesome! I love your spy movie idea! I remember getting my girl friends together and dressing up fancy to celebrate my brother's graduation... except he was in another city so we took a life-size photo of his face and stuck it on a stick and took him with us to MacDonalds for our very fancy dinner. My favorite way to find adventure is to follow people (Stalker!) which we did on the train in Cologne to go to a medieval fair, but which I also did back home when I followed a car until it stopped because they had the same town's number plate as me so I thought I must know them... turns out I didn't. Love the spy movie! In high school my friends and I would make music videos. I kinda want to do that again! Btw. Coming from the Comment Promise Blog Hop! Such a great idea!!!! Everyone could use a little more adventure in their lives! Netflix Day with snacks = my favorite. With eavesdropping on my neighbhors in my apartment building a close 2nd. Glad someone out there gets what I consider an adventure! Oh gosh, I love that first one, hahaha! I mean, right, though? We girls have all these fancy formal dresses hiding in our closet that we can only don to fancy restaurants and events, so why not wear them other places, too? I am so sticking that on my list. Life's too short to not wear our cute, fancy clothes! Great ideas! One of my resolutions this year was to create a blog, and I have loved all the things I have learned in the process of making it and all the people I have met because of it. Great ideas for adventures!! I should have more "intentional" movie marathons for sure haha. Make vanilla pudding, put it in a mayonnaise jar, and eat it in public. Become a teacher. Make a test where every answer is “C.” Enjoy the show. Wear a t-shirt that says, “Life.” Hand out lemons on a street corner. Hire two private investigators, and get them to follow each other. Major in philosophy. Ask people why they would like fries with that. Run into a store and ask what year it is. When someone answers, yell, “It worked!” and run out cheering. Change your name to Simon. Start speaking in the third person. Follow joggers around in a car, blasting “Eye of the Tiger” for encouragement. Can I hire someone to play "Eye of the Tiger" for my while I jog? That would be too much fun! Nice adventures. Small and easy to do everyday. When I want a small adventure, I usually do random blog searches. It is so much fun to see what other people like or are up to. You are like the most creative person! A spy film with your whole family!? .... Your family is so lucky to have you. I remember when I wore this fluffy tulle skirt out to the mall and got TONS of looks. It was super fun! Wedding dress dinners, movie marathons, and creative projects---I would love to! Eavesdropping is the best. Naturally, I call it "people watching" as that is more socially acceptable. I love your wedding attire ruse! Maybe I'll wear my prom dress out sometime soon- I always did want to wear it again! You are so right about lazy days: purposeful ones feel amazing - procrastination ones are never as good... I am definitely planning a purposeful one for this weekend! 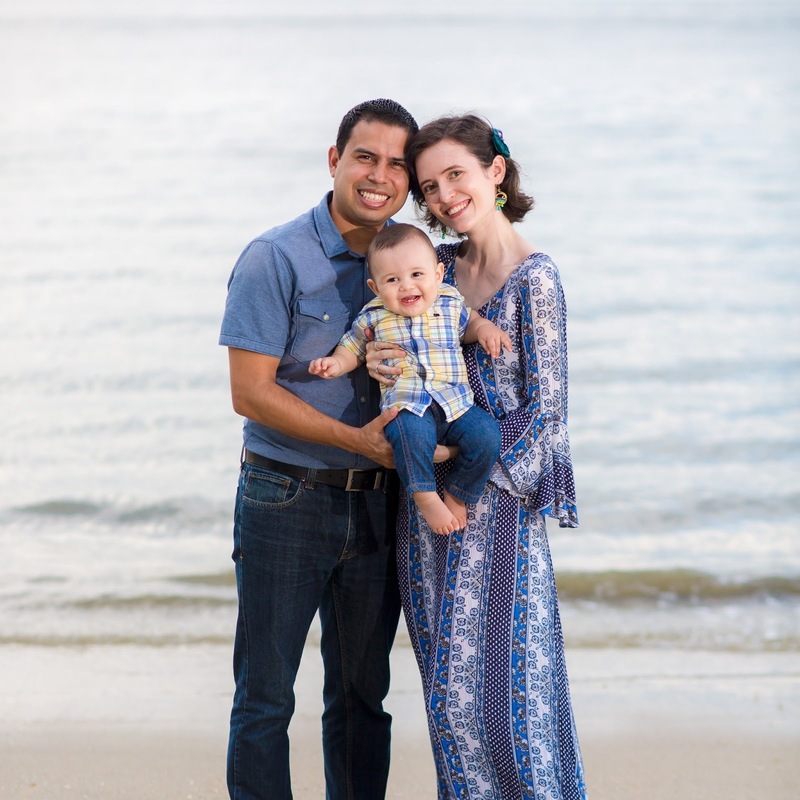 My husband and I love travel, but that can be hard to do during the semester, not to mention expensive, so this spring we are trying to do a few small trips in the northeast (driving or buses). So we just bought tickets to spend my birthday in NYC next month - and see Waiting for Godot with Patrick Stewart (nerd adventure)! Airport eavesdropping is easy to do because everyone is in such close proximity.. and I always find airport exchanges to be so interesting. People are grumpy, snappy or really excited to be seeing someone or going on a holiday! The dress up idea is fantastic. On my last day of high school I wore my prom dress to school. I had to!.. when would I ever wear it again!? I love that you and Angel went out in your wedding attire.. How funny! I'm pretty boring, so I've never planned an adventure even though I've had my share. I'd love to do this with my kids. Living purposefully! Thanks for sharing and linking up with Countdown in Style. Loving #1. Nice to have you on Countdown In Style. one year, one of my new year's resolutions was to do something i'd never done before once every month. so i got a brazilian wax, i traveled to places (local) that i'd never been, i volunteered at a different non-profit. 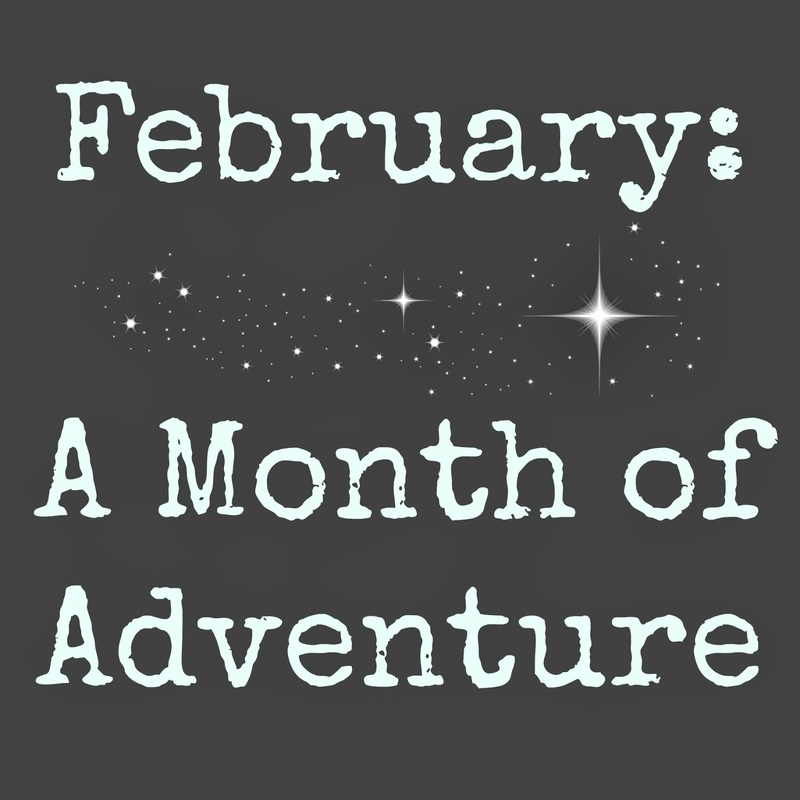 love the idea of a month of adventure.